If you are involved with a new build in a traditional style, the chances are that it will have bargeboards. 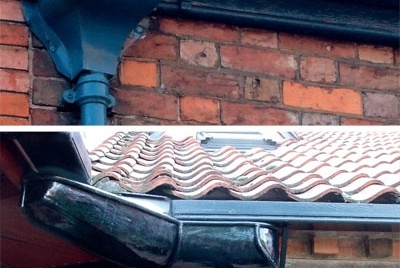 Unless your roof is hipped sloped at each gable end or has clipped verges, you will need these practical, decorative features to add a defining stop to the ends of the building, protect the ends of the roof timbers and help keep water off the walls. The modern alternative is something rather flat and dull in which the roofing material projects a few centimetres over the wall end. This affords little opportunity for creating attractive patterns of light and shade. Bargeboards do this as well as adding external character to your home. Bargeboards also known as vergeboards are defined as projecting boards placed against the incline of the gable of a building, hiding the ends of the horizontal roof timbers. They are acknowledged as a key way to add interest to what is potentially one of the least interesting areas of the exterior and lead the eye towards an eyecatching roof. Although decorated bargeboards are found all over the country, there are strong local traditions. Properties formerly belonging to a country estate, for example, might all have bargeboards decorated in the same style. Elaborate bargeboards are just as prevalent in cities. Take a look at the housing in many of the better suburbs you will almost certainly see involved designs with ornate fretwork, pierced with elaborate holes perhaps clubs, clover leaves or quatrefoils. Bargeboards like this are bespoke items and cannot be bought off the peg from the PVCu or GRP manufacturers, who supply these items off the shelf in a variety of styles. There is, however, a strong market for PVCu bargeboards in speculative building, a pattern which is beginning to enter the increasingly design aware self-build market. 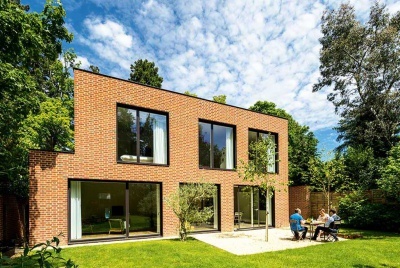 Swish, one of the largest manufacturers of PVCu building products, reports a strong demand in the refurbishment market. One reason for this is that their products can be attached to existing timber bargeboards to embellish them, without having to create one off expensive designs in timber. Although most of the PVCu companies produce only a limited number of designs, Swish claims it is possible to produce 27 different permutations using two basic designs of 45mm ornamental bargeboard. Another major name in PVCu bargeboards is Kent based FloPlast. Their 500mm ornamental mouldings are usually attached to the underside of PVCu bargeboards. Off the peg PVCu bargeboards like this may well last longer than timber but only come in a certain number of designs and obviously do not suit every property. If you need something other than a standard moulding you have two choices have it cut from from cellular PVC board or do it the traditional way and use timber.